Founded in 1932, Screw Conveyor Corporation has become a leading manufacturer of bulk material handling equipment. The experience and expertise of the five original founders worked together to create a successful business venture. Today Screw Conveyor continues to grow under family leadership. Technology, reliability and craftsmanship are the keys to almost 100 years of continued growth. Today, we’re one of the nation’s oldest manufacturers of bulk material handling equipment-including screw conveyors, drag conveyors, vertical lifts and bucket elevators. 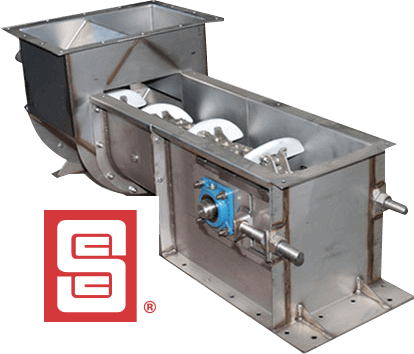 At Screw Conveyor Corporation we stand behind everything we specify, manufacture and sell…From complete customized bulk material handling equipment to replacement parts.